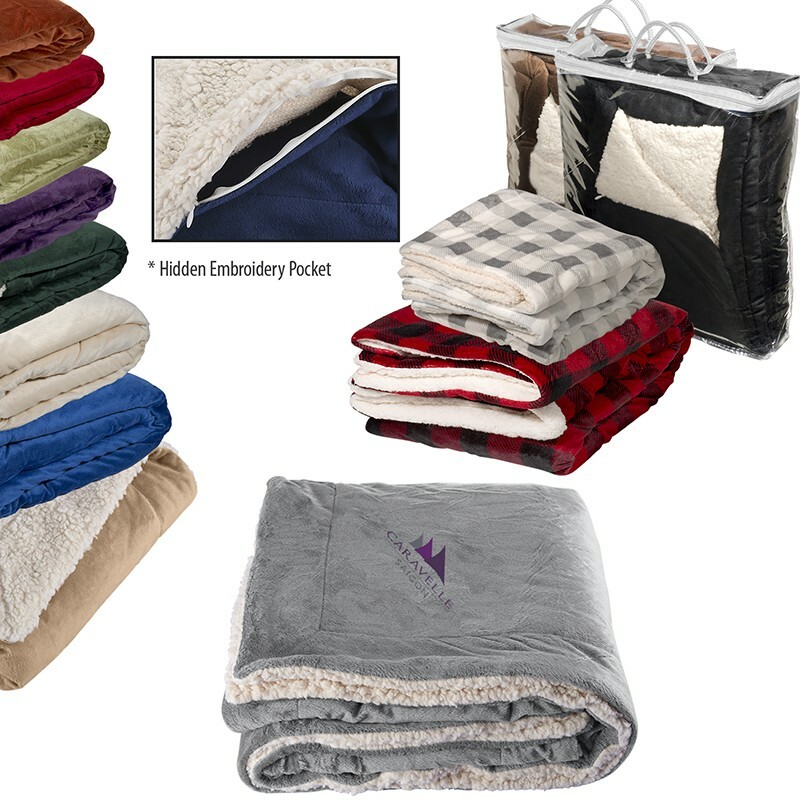 Deluxe double layer blanket soft velour polyester faux fur one side reversing to cozy lambswool Sherpa. Made of 100% Polyester faux mink (220 GSM, 11 oz.) with sherpa (240 GSM, 12 oz.). Features hidden 13"l embroidery pocket with concealed zipper for easy decoration. This item requires a minimum quantity of 12.